On January 16, 2019, True Believer students were fortunate enough to attend a seminar run by Jared Weiner, one of the strongest American-born competitors in the sport of Brazilian Jiu Jitsu. Professor Weiner brought his fierce, competition-proven style of Brazilian Jiu Jitsu to True Believer, drilling fundamentals and sharing his no-nonsense brand of grappling. From De La Riva passes and knee cuts to his school’s own patented choke, True Believer Jiu Jitsu students learned powerful techniques and valuable insights from Professor Weiner’s more than 15 years competing at the highest level. 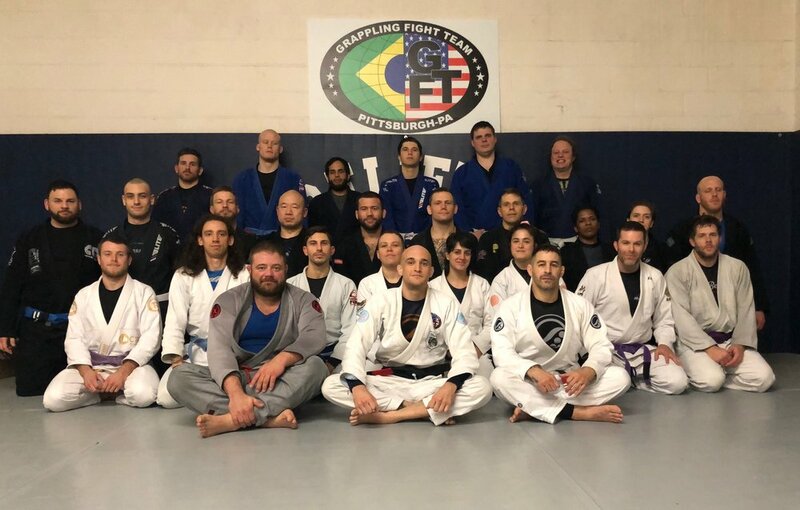 Hailing from one of the largest metropolitan areas of the United States, Professor Weiner has run Brazilian Jiu-Jitsu United (BJJ United) out of the Philadelphia area for the last decade. His “reputation as an instructor has matched his tournament prowess,” as he produced numerous champions for both BJJ United and Tac Team Association, according to BJJ Heroes. Be sure to follow Jared Weiner and his school, BJJ United, by going to the links below.